Cerussite is a popular collection mineral. 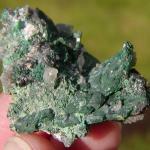 It is famous for its great sparkle, great density and amazing twinned crystals. Cerussite is a minor ore of lead. It has a very high luster due mostly to the lead content. Just as leaded crystal glass sparkles more brilliantly because of its lead content, so too does cerussite. The lead raises the index or refraction of cerussite to just over 2.07. The lead is also responsible for its increased specific gravity. Cerussite has one of the highest densities for a transparent mineral. It is over six and a half times as dense as water. 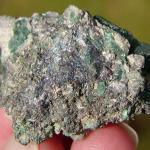 Most rocks and minerals average only around three times the density of water. Crystallographers can appreciate cerussite's sparkle and density; but it is cerussite's wonderfully twinned crystals that get them excited! This mineral can form some geometrically intricate structures and spoked star shapes that simply are amazing. Cerussite belongs to the Aragonite Group of minerals. 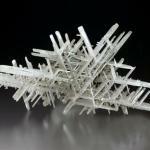 A group that as a whole is well known for twinning with commonly twinned members such as aragonite, witherite and strontianite Twinning is most definitely common in cerussite and besides the intricate structures mentioned already, singular twins are also interesting. There are three basic types of twinning in cerussite: Elbow or chevron shaped twins, cyclic twins and last but not least, reticulated twins. The elbow or chevron shaped twins are the most common and are generally seen on most specimens. The cryslic twins often form star shapes with six "spokes" extending from the star. Very beautiful! The reticulated twins are classics and form complex interconnected beams of crystals. So intricate are these specimens they appear to have been constructed. They truly are an awesome mineralogical wonder. Cerussite twins are a must for collectors who are fond of twinned crystals. 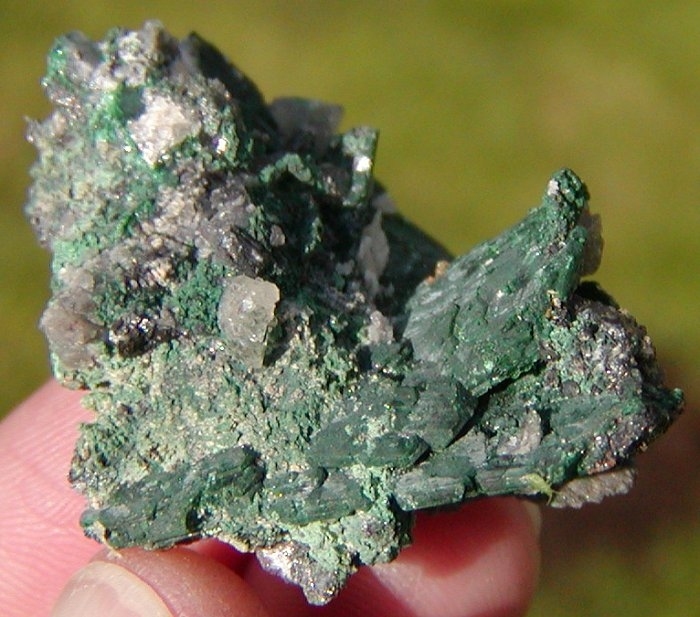 Cerussite is found in the oxidation zone of lead deposits usually associated with galena. Some specimens show cerussite crusts around a galena core as the oxidation was "caught in the act" so to speak. Cerussite can make nice associations with galena and another lead mineral anglesite, a yellow colored, lead sulfate. Cerussite is simply a classic! 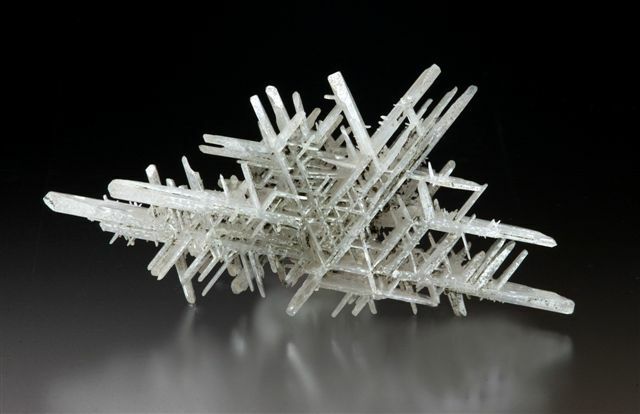 The name "cerussite" is from the Latin word cerussa, meaning white lead. 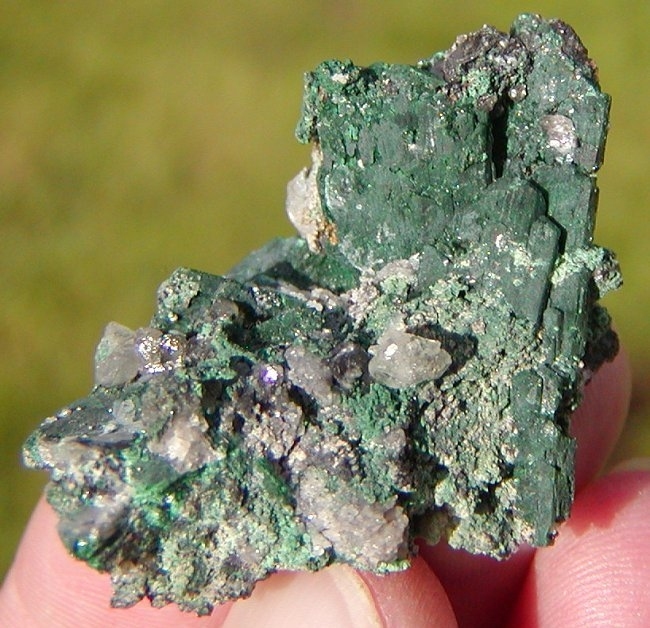 It is also commonly misspelled, often with only one "s", or with two r's, or both: cerrussite, cerusite, and cerrusite are all seen instead of the correct spelling, cerussite. It has also been known as Horn Silver and lead spar. Color is usually colorless or white, also gray, yellow, and even blue-green. 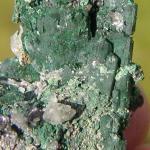 Luster is adamantine to almost submetallic and sometimes greasy. 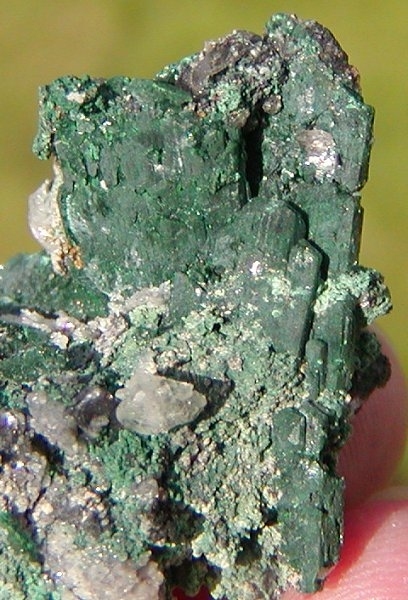 Crystal Habits twinning is common and expected (see above), single crystals can be prismatic with blunted pyramidal terminations. Some specimens show acicular white crystals. Also, reniform, earthy, and crusty varieties are found. Cleavage is not as good as other carbonates, but still considered good in one direction. Fracture is conchoidal and brittle. 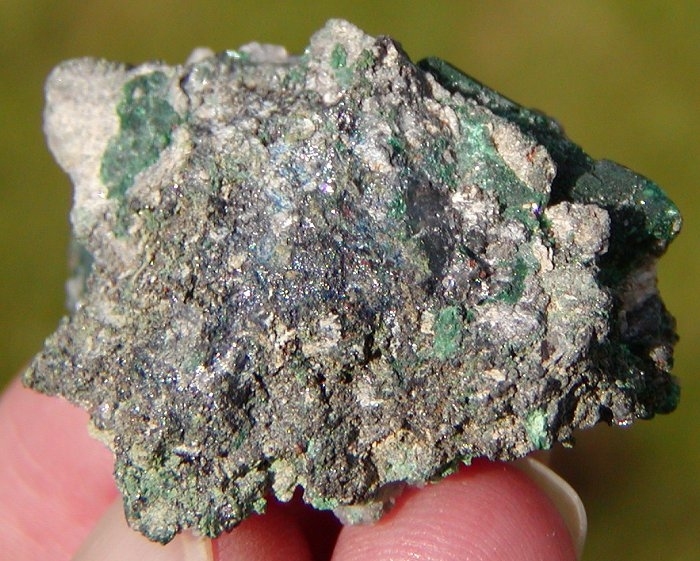 Specific Gravity is 6.5+ (very dense for a generally transparent mineral). Streak is white or colorless. Other Characteristics: Refractive index of 2.07 (very high) and prismatic crystals are striated lengthwise. Associated Minerals are barite, calcite, anglesite, and other secondary minerals and especially galena. Notable Occurrences include Tsumeb, Nambia; Congo; Morocco; Australia; Germany and Arizona, USA. Best Field Indicators are its crystal habit (especially twins), heaviness, high refraction and luster.